Judge Laura Swain, of the Southern District of New York United States District Court, has decided not to issue a preliminary injunction against Dish's Hopper, allowing the ad-skipping digital video recording device to remain legal in the state. ABC sued to immediately halt use of the Dish Network “PrimeTime Anytime” and “AutoHop” features of the Dish Hopper service, which allow ad skipping during prime time of broadcast TV network content. ABC had wanted an immediate halt to offering of the feature. Broadcasters obviously do not like the ad-skipping feature of AutoHop. In addition to ABC, CBS has filed a separate lawsuit against Dish over its AutoHop feature. The issue is not resolved, but Dish executives note this is the third ruling in Dish’s favor. A judge in California earlier had sustained a lower court ruling rejecting a similar injunction sought by Fox. At least some advertisers think TV networks will fight any and all moves to legalize ad-skipping technology, as that would imperil their advertising revenue. Others think consumers eventually will have a choice of viewing content without ads, likely paying more to view such content, or continuing to watch ad-supported content in exchange for saving some money. The Dish Hopper dispute is but the latest clash between content owners and new technologies that threaten to upset or at least change revenue prospects for TV distributors or programming networks. Many are too young to remember the 1984 Betamax case, in which Sony Corp was sued by Universal City Studios, in an effort to block the sale of videocassette recorders. Introduction of DVRs likewise raised concerns about the impact on TV advertising. So far the impact seems to be mixed, but substantial. The devices have been widely adopted and are now in about 43 percent of U.S. households, according to Nielsen. Some think adoption is not that high. Magna Insights predicts adoption will reach 44 percent of U.S. households by 2014. 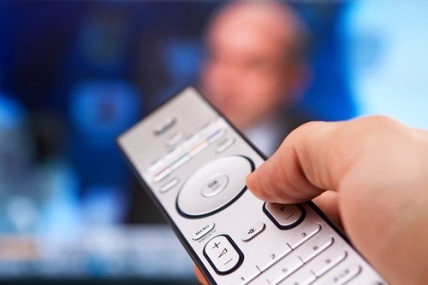 Media buyers say about 50 percent of ads get skipped by DVR users. Yet TV advertising has increased since 2003, when DVRs became widely available. The case ultimately was rendered moot because Replay TV went bankrupt. Should Hopper ultimately be deemed lawful, advertising will change, possibly by doing more product placement, or taking other measures.